I’m moving – to a new blog site address (URL for those in the business): www.jeffsaxton.com. If you want to check it out, it’s still UNDER CONSTRUCTION, so make sure to wear a hardhat, watch out for broken glass, and don’t touch those bare wires! I once reached out and touched some bare wires at a construction site. (In a previous life – I framed houses.) One morning the foreman told me to plug-in to power. At a new residence, you start framing on a concrete slab, with a line of power temporarily attached to a stick in the ground. It’s not the safest concoction in the world. And there was a 220 line. Usually the boss plugged into the 220 himself. Well, that morning, the boss wanted me to plug into the 220. So I happily agreed. 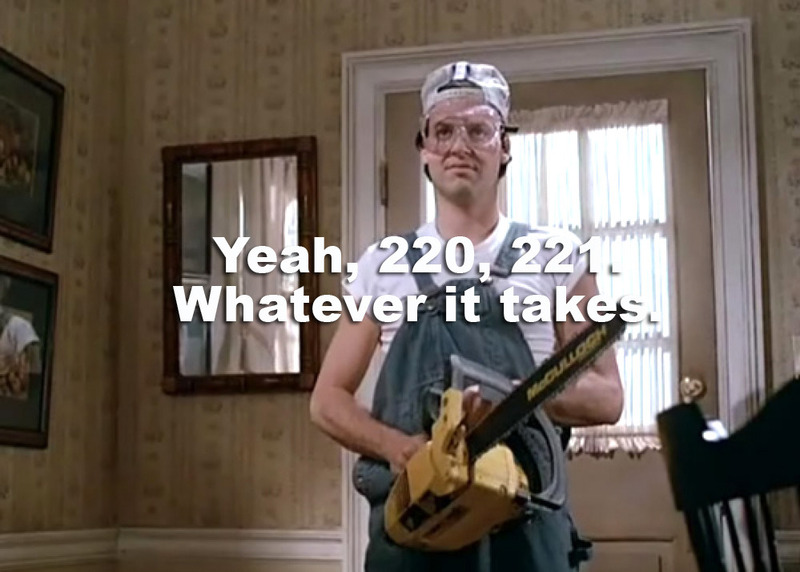 (I usually do 220, 221, whatever it takes. #mrmomthemoviestillrocks.) At 7:05 in the AM, I’m not the most awake person in the world. I rambled over to the 220 line half asleep and grabbed the plug (looks like your dryer plug. It has 3 plugs) and I put it into the outlet that sort-of dangled in the stick. It was still sticking out, and because it was not a super solid scenario, it required additional elbow grease to push it all the way in. So I grabbed around it a bit tighter and pushed it all the way in. Mission accomplished. Only one problem – as I was about to let go, just like they tell you, I was suddenly LOCKED TO THAT PLUG for several seconds! I felt a powerful shaking going into my heart! I kid you not, my heart shook like a paint mixing machine! And then finally – it let me go. Or I let it go. All I can tell you is this – I was WIDE AWAKE NOW! I was okay. After a minute of walking in dazed fashion ( I went to the men’s room / porta-potty) I was relieved to be just fine. And I think I did about a day and a half worth of work that day! I had twice the energy that the other guys had. But I’m really nervous around bare wires now – I look like the cat that freaks out at it’s own shadow at night when I sense bare wires near. Just kidding. Well, I do hope making a shift to the new site will allow me to increase my impact and help more people. Also, I’ve got two buns in the oven. No, not those buns. I’m not talking “babies,” at least not the kind you’re thinking of. I’m talking about my twin projects. Did I show you their pictures? 2. A FREE INFOGRAPHIC that explains the basic concepts of what THE NEW PHARISEE is all about in ONE PICTORAL COMIC-ESQUE VISUAL! It is now being prepared for RE-RELEASE in a full BLU RAY version – Again, subscribe to my email list for regular weekly updates, as well as special discounts and other goodies. I’m not trying to be THAT SALES GUY – I just wanted you to know some of these reasons why I’m moving my blog HOUSE. But the good news is this – I’m bring YOU with ME! Yep I got a guest house all prepared for ya – just tweaking and updating a few things. Watch out for bare wires! Please comment or email me with any new site advice, questions!